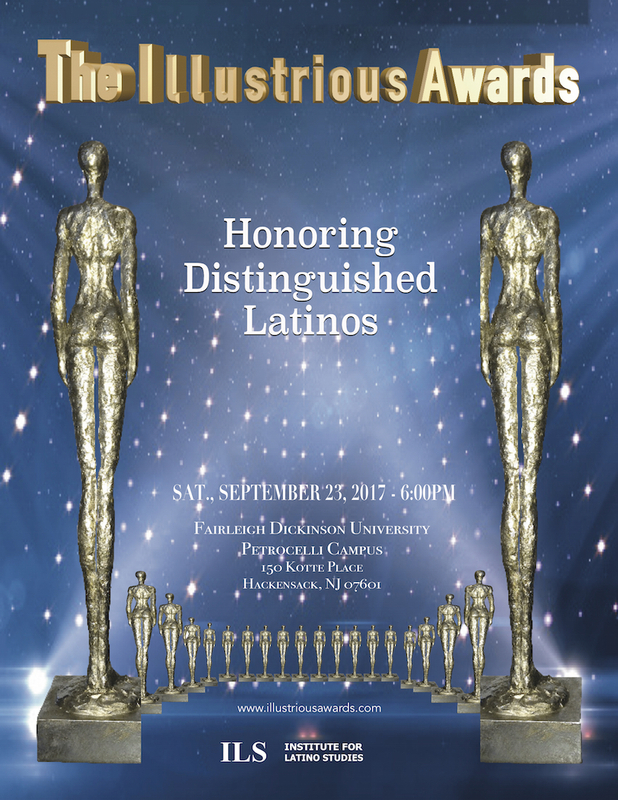 Click here or on the following image to watch video featuring some of the honorees to receive the Illustrious Awards on Saturday, September 23, 2017 at 6pm at Fairleigh Dickinson University – Petrocelli College, 150 Kotte Place, Hackensack, NJ 07601. Featured: Edwin Melendez, PhD., Director of the Center for Puerto Rican Studies, Ida Castro, Esq., Vice President for Geisinger CMLTH School of Medicine, Hon. Rolando Acosta, Presiding Justice, New York State Supreme Court Appellate Division First Department, Carlos Fernandez, PhD., Center for Latino Arts and Culture, Esmeralda Santiago, Writer, Felipe Luciano, Communicator, Paul Perez, US Veteran & Director of the National Science Foundation, Omar Feliciano, Head Coach of St. Benedict’s Preparatory School, Juan Villar, Principal, and Tony Mechara, Chairman Emeritus El Museo del Barrio. 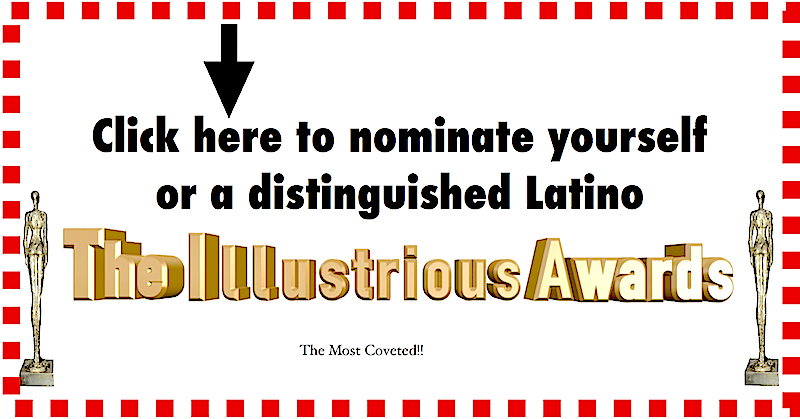 The Illustrious Awards is a signature initiative of The Institute for Latino Studies, dedicated to quality research for effective advocacy. 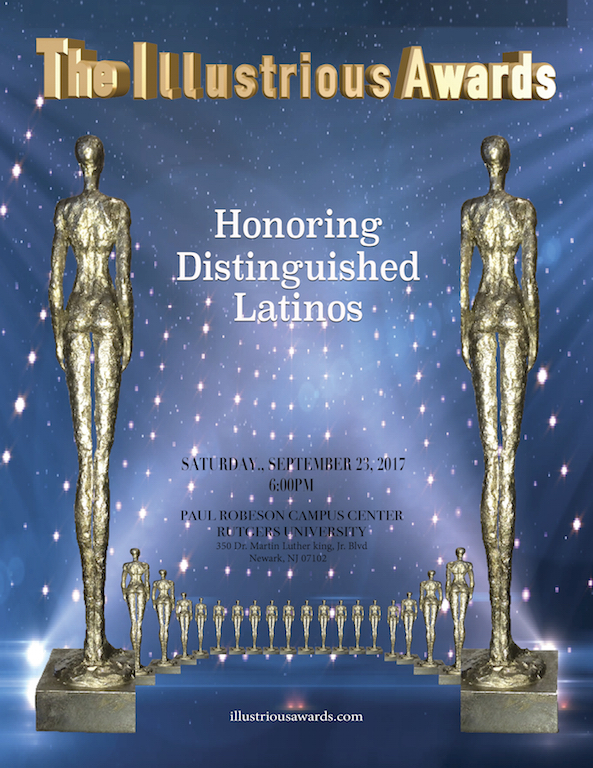 You are cordially invited to submit nominations for the Annual Illustrious Awards slated to take place on Saturday, September 23, 2017. 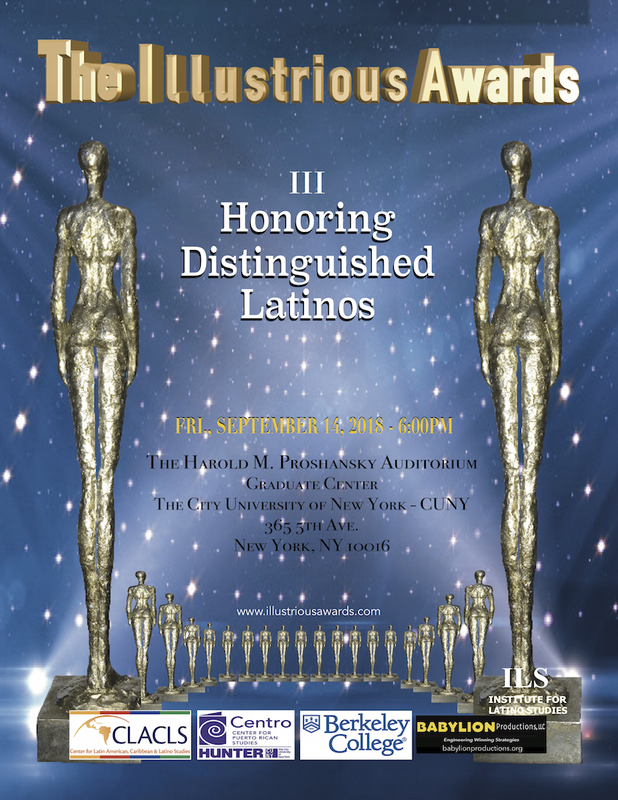 The Institute for Latino Studies’ projects & initiatives include: The Latino Leadership Academy (LALEA), The Illustrious Awards and the New Jersey Conference on Dominican Affairs (CODA). The Latino Leadership Academy, an intense 10-month course to train and develop emerging leaders that they may serve the community in a more holistic and independent manner. Participants in The Academy are selected based on their professional and community involvement background, as well as their commitment to submit to the rigors of intense and demanding leadership development training. The program meets on the second Saturday of the month, beginning on Saturday, June 11, 2016. The concept of the Conference on Dominican Affairs (CODA) emerged in August 2000, in a historical gathering of over forty Dominican leaders at the Paterson Museum. Following five months of followed-up meetings held throughout the state, where the educational, economic, legal, social and political status of the more than 200,000 Dominicans in New Jersey were discussed, it was decided on that summer afternoon that it was necessary to address the urgent reality of Dominicans residing in this state, in a “group conversation” / “meeting of the minds” setting. At the recommendation of community leader Lucilo Santos and other leaders, a steering committee, led by Dr. Maria Teresa Montilla, was appointed to organize the first New Jersey State Conference on Dominican Affairs. This effort consisted of two plenary sessions and ten workshops moderated by experts in a variety of fields. It gathered 500 leaders from throughout the state, and presented a powerhouse of philosophers, teachers,intellectuals and public personalities as panelists, speakers and participants. Embracing the overall theme “Building Our National Agenda,” the conference included workshops and symposia addressing education, immigration reform, community empowerment and economic development, Inter-ethnic Relations, The Role of Civic-Cultural Organizations, among other topics. The attendees included representatives from cities with large Dominican populations including, Newark, Paterson, Passaic, Union City, Jersey City, Perth Amboy, North Bergen, West New York, Camden, Trenton, Atlantic City, New Brunswick, and Hackensack. 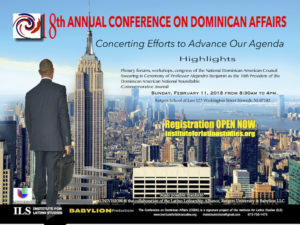 The Conference marked the beginning of a unique and positive effort to provide a forum to identify and develop a state agenda designed to unite Dominican-Americans behind a common goal. Faced with many challenges, conference participants undertook to build a strategy to address the many important issues that affect the Dominican-American community in New Jersey. We left that conference feeling face to face with not only the challenges the Dominican community confronts in its journey toward empowerment, but with a deep sense of commitment and ironclad determination to design our own role in this society. The initiatives and projects resulting from the conferences assure us we are on the right path. 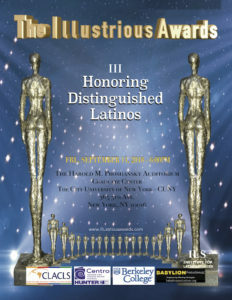 The Conference, under the auspices of The Institute For Latino Studies, Research, & Development, Inc. was established as a non-partisan, non-profit entity based in New Jersey, obtaining Federal exempt status. The Institute for Latino Studies, Research & Development has successfully organized sixteen conferences with the partnership of Rutgers University School of Law and corporate sponsors. It has identified the need to continue making a state presence to ensure that our community’s voice and agenda are heard and responded to at all levels of government. It conducted, in partnership with The Dominican Studies Institute of the City College of New York, the first comprehensive demographic study of Dominicans in New Jersey. It has proudly celebrated our accomplishments, and rejoiced by the many Dominican leaders who, through political success have expanded the pool of distinguished elected and appointed officials. At present, there are several Dominican elected officials, elected commissioners, and over thirty officials appointed to various state and local boards and agencies. In collaboration with The National Council of La Raza, it has implemented a Community Leaders Training Program, which seeks to prepare our leaders to serve the community in a more holistic manner. It founded Acción Juvenil Latina (AJL), a youth organization with the objective to recruit, encourage and nurture Latino High School Students to attend college. It spearheaded and curated at The Newark Public Library, New Jersey Dominicans: A Community on the Move, the first Dominican history exhibit in the state of New Jersey. 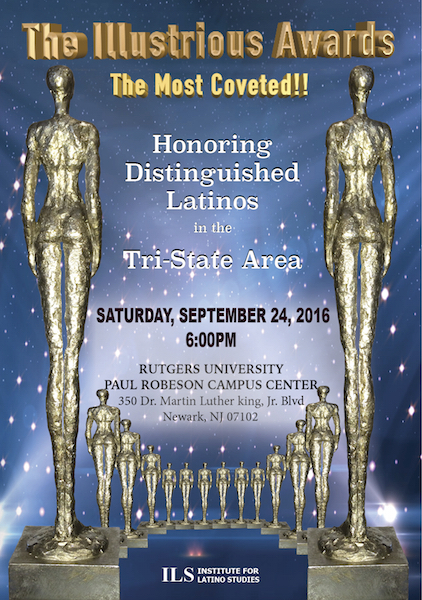 It birthed The Dominican American Council, the statewide political education and participation mechanism of New Jersey Dominicans. In collaboration with the New Jersey Department of Community Affairs, it implements Tú Cuentas!, a naturalization and voter education project. Since its inception, Tú Cuentas! has registered thousands of new voters in the state. 1. The Political Collaboration Project – A working committee to bring together representatives of the major Dominican Political parties to work on agreed upon areas of collaboration in support of New Jersey Dominicans’ efforts on political representation. 2. Education Professionals – Latino teachers explore the causes and outline solutions to the high drop out rate of Latino students. Three areas of concern are addressed: Parental Involvement, Leadership Programs, and Advanced Degrees for teachers. 3. Health Professionals and The Community – Health professionals representing over 30 medical organizations in the tri-state area conduct orientation courses and workshops in degree accreditation and community involvement. Health Fairs providing medical services to individuals, who would otherwise have difficulty obtaining these services, are held in targeted cities. 4. A Women’s Initiative to address women’s unique empowerment needs and contributions. Such needs and contributions are addressed through personal and professional development follow up seminars. 5. Action Juvenil Latina (AJL) – A youth organization to channel and harvest the developing leadership abilities of college and high school students. As we celebrate our annual conference this year with the generous support of UNIVISION, and other local sponsors, we look with satisfaction at what we have accomplished over the past fourteen years and with a sense of mission at what is yet to be accomplished. 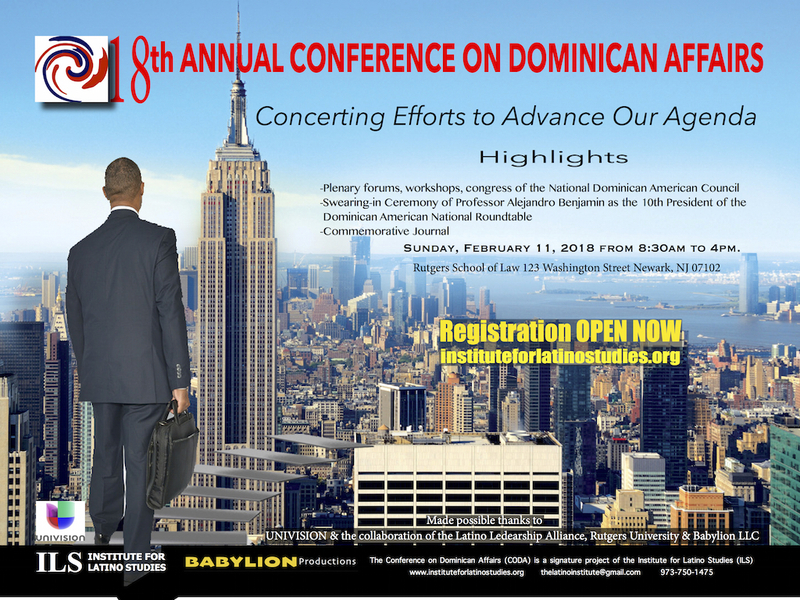 This is the 15th Anniversary of the Conference on Dominican Affairs at Rutgers University’s Center for Law & Justice located at 123 Washington Street Newark, NJ. Along the past seventeen years, CODA has paved the way for many new leaders and professionals to emerge as committed advocates for the socio-economic and political advancement of the state’s Hispanic diverse communities. Every year, they come back under one roof to use CODA as a forum of analysis, planning and action. The list of leaders who have spoken and actively participated at CODA along the past 16 years is very long. Some include: Dominican Republic President Leonel Fernandez Reyna, DR President Hipolito Mejia, US Congressman Luis V. Gutierrez, US Senator Robert Menendez, New Jersey Governor Jon Corzine, NJ Governor Chris Christie, Dr. Nancy Alvarez, RI State Senator Juan Pichardo, Civil Rights Leader Martin Perez, Esq., President of the Latino Leadership Alliance of New Jersey, and the only Latino serving at Rutgers University Board of Governors, Dr. Hugo M. Morales, Trustee of The City University of New York, NYC Councilman Ydanis Rodriguez, NYC Councilwoman Julissa Ferreiras, former NYC Councilwoman Daiana Reyna, former NYS Assemblyman Guillermo Linares, Dr. Ramona Hernandez, Executive Director of the CUNY Dominican Studies Institute, Dr. Silvio Torres-Saillant, Paterson Councilman Julio Tavarez, Paterson Councilman Rigo Rodriguez, PA Allentown Councilman Julio Guridy, MA Lawrence Councilman Kendrys Vasquez, Councilman and Freeholder Tilo Rivas, Councilwoman Fiordaliza Frias, Zenaida Mendez, Rosita Romero, Jimmy Zorrilla, Legislator in Puerto Rico, Claribel Martinez-Marmolejos, first Dominican-American ever elected to public office in Puerto Rico, Journalists Alicia Ortega and Nuria Piera, the Honorable Kay Palacios, one of the first two Dominicans ever elected to public office in the United States, NYS Senator Adriano Espaillat, RI State Representative Grace Diaz, Professor Alejandro Benjamin, Dr. Carlos Lugo, Dr. Aritmedes Restituyo, former presidents of the Dominican American National Roundtable Victor Capellan, Cid Wilson, Nestor Montilla, Ana Garcia Reyes, Francesca Pena…and dozens of other leaders. The complete list of elected officials, leaders, experts, volunteers and CODA coordinators will be published via www.instituteforlatinostudies.org. 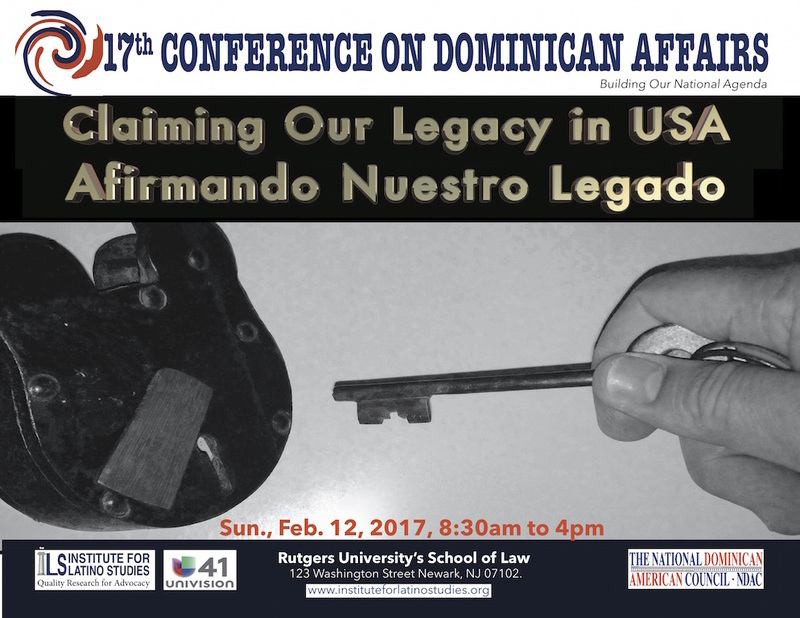 You are invited and welcome to join us to celebrate CODA’s 17th Anniversary: Claiming Our Legacy / Afirmando Nuestro Legado.